Purchasing a great pair of headphones for mixing is important nowadays to supplement mix choices in the modern music studio. The art and science of mixing requires the best performance from its headphones. The finest of details have a huge impact on the final product. A good pair of headphones is an important tool for modern mixing. With high quality stereo headphones, performance and price ranges are varied and with so many options to consider, the selection process can be a challenging task for anyone. Made in Germany with great attention to detail, the impressive T1 Tesla Audiophile is considerably more affordable than many flagship headphones without compromising on quality and performance. An impressive 600-ohm impedance results in great reproduction. One notable result is that this models volume capacity is almost twice that of regular headphones at the same input level. Its particularly open back casing improves sound isolation and minimizes leakage to maintain the HiFi quality. With modern technology and great performance the TI Tesla Audiophile suits the needs of anyone looking for a pair of modern headphones for studio mixing. Available at $1500, the Sennheiser HD-800 is the highlight of Sennheiser’s quality studio headphone mixing line. Its massive 56 mm drivers are made in a bold ring shape that eradicates deformation for great clarity. The drivers are fairly offset to create an ideal listening experience. Spatial listening also improves the studio experience while enabling you to process various signals individuals, thereby greatly increasing fine-tuning capabilities. This kind of technology inspires the lasts recording products. High-tech sound delivery and impressive performance makes the Sennehiser HD-800 great for your mixing needs. Available at approximately $1500, the modern AKG K812-PRO offers great sound clarity. The colossal 53 mm drivers use the Tesla magnetic mechanism, the most powerful magnetic currently available in the market, to produce unmatched reproduction accuracy. The copper coated voice coil ensures the frequency reaches 54 kHz, which is beyond normal perception range. Designed with clarity in mind, these innovations combine to great effect in the mixing studio. The Bavaria-engineered Ultrasone Edition 10, artisan headphones offer the luxury that their high $2700 price tag deserves. The headphone is made to resemble the wings of a butterfly. Their ruthenium coated ear cups are Ethiopian sheep skin leather, seemingly the smoothest material available out there. Its drivers and the open back casing use the latest S-logic Plus technology to produce sound in a world-shattering manner. The great style of the Ultrasone Edition 10 headphones can only be compared to their uncompromising quality. The Shure SRH-940 headphones are designed to fit in the Shure’s entry into the specialized headphones industry. These impressive headphones are designed to produce a specifically punchy sound that is ideal for rock music. However, you should also be familiar with the mid range boost offered by these headphones while mixing music. The closed-back style of these headphones also make them perfect for tracking applications, as it will help prevent any noise from entering sensitive components. 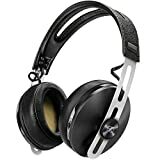 These headphones are engineered to offer great sound quality as they are intended to be utilized by the artiste and are some of the best mixing headphones currently available out there. Its 50 mm nano-fiber drivers are places in mahogany ear cups, making it a true musk maniac. The adjusting headband ensures a secure and comfortable fit for the artiste. The AHD 71100 is the highlight of an already popular headphone line. While these headphones are designed to offer great clarity and broad frequency response that is ideal for mixing in the studio, they are also excellent for entertainment. While this is not necessary for mixing headphones, the Denon AHD-7100 sound transmits perfect well to the speakers, particularly when you are familiar with its abilities. In order to capture the correct form of your favorite sounds, you have to get a good pair of headphones for mixing. Not just any other studio headphones will give you your desired results. 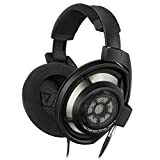 When looking for the best headphones particularly for mixing, be sure to get one of the aforementioned headphones because they are specifically engineered to offer the best mix results.